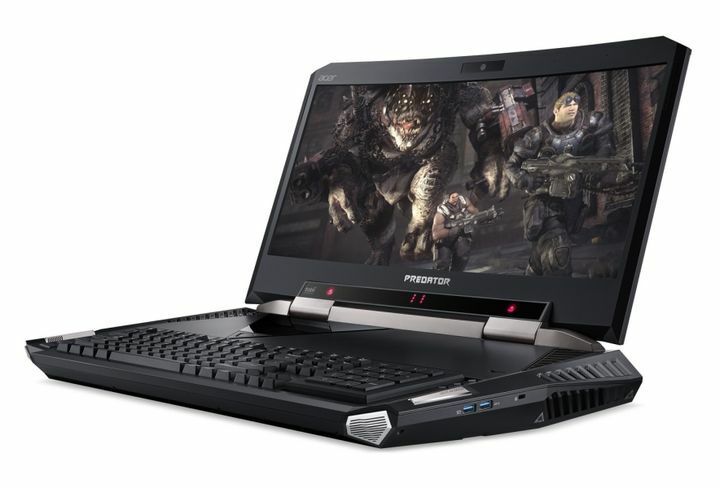 Although most PC gamers shun the idea of gaming laptops, as these tend to be bulky, expensive and have limited upgrade options, this has not stopped hardware companies like Alienware or Acer from releasing very expensive gaming-focused laptops. But looking at the machine’s specs (which Acer recently published on their website), it is clear that the Predator is a gaming beast and also “the world’s first notebook with a curved screen” according to the Taiwanese company. Aside from that curvy screen, the Predator has the sort of hardware configuration that will put most desktop PCs to shame, as it comes equipped with dual GTX 1080 graphics cards, meaning the machine has some serious pixel-pushing power, and also features a powerful Intel Core i7 processor. When it comes to storage, the laptop comes with up to four SSD drives in a RAID 0 configuration (meaning files are split across drives for faster performance), and also a 1 TB hard drive for extra storage, which does seem a tad limited for such a high-calibre machine. Judging by the specs, there’s no denying that this is a top of the line luxury item, and the Predator also features a total of six speakers for the ultimate hi-fi experience, plus a full-sized keyboard with backlit keys, and also support for Windows Hello facial recognition technology so that typing passwords becomes a thing of the past.